Bullying is a repeated pattern of intentional and hurtful behaviours (physical, verbal, psychological) used by one or more individuals who exercise power to intimidate, threaten, harm, and/or victimize another person/victim who is perceived as relatively weaker. Bullying behaviours can be direct and open, or indirect and subtle. This includes the use of e-mail or internet to harass and /or intimidate others. A one-time incident does not qualify as bullying. Bullying differs from “normal” childhood conflict in that: the act is repeated; there is unfair match; harm is done. Not all negative interactions between students is bullying. Some playful teasing and taunting between friends is socially acceptable. Aggressive behaviour, such as fighting, is not acceptable, but may not qualify as bullying. Remember: bullying is a pattern of repeated behaviour / the repeated victimization of someone. Cyberbullying is a form of bullying that occurs through the use of technology. This can include the use of a computer or other electronic devices using social networks (such as Facebook), text messaging, instant messaging, websites, e-mail, or other electronic means. A person participates in bullying if he/she directly carries out the behaviour, assists, or encourages the behaviour in any way. Sometimes victims of bullying are selected because they are different or perceived as vulnerable, but often there is in no obvious reason. There is no set formula that works for dealing with every bullying situation. Students need to learn a variety of strategies and develop skills in determining which strategy would be most effective to use in a particular situation. There are basic strategies that are effective for everyone and can be applied to most situations. Other strategies are effective in specific situations or for particular personality types. Most of the time, dealing with bullying is not an independent activity. Children who are bullied need support and skills in using effective strategies. They cannot solve the problem on their own because of power imbalance. For this reason telling an adult continues to be the best general solution. Adults can then decide how best to aid the student; teaching them skills or directly intervening. Some strategies have to be used carefully or the bullying can be exacerbated. For instance, telling a student to ignore the behaviour works best in an initial episode where on student is `feeling out` or assessing another student`s vulnerability. It also works better for certain types of bullying, such as teasing. Ignoring bullying behaviour that has been going on for some time, or is more severe, can result in the student, who is bullying, intensifying efforts to maintain their perceived power over the bullied student. o Is it unfair? Does one person have more power? o Was it done on purpose to hurt someone? o Has it happened more than once…repeatedly? • It is a repeated behaviour. • It is an unfair match and/or there is a power imbalance or abuse of power. • It is an intentional and hurtful behaviour. • The behaviour was intended to threaten, intimidate, or victimize someone. 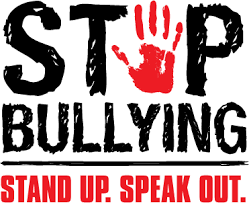 Is it really bullying or is it something else….such as: kids being mean…discrimination… intolerance… unacceptance… racism… jealousy… insecurity… low self-esteem… lack of self-confidence… homophobia… harassment… sexism?